Look at all those bees! Super cuteness! I am in love with bee's ! after reading "the secret life of bees" I can appreciate them 100% even if they can sting you! Oh, wow! So many wonderful bees!!!!! 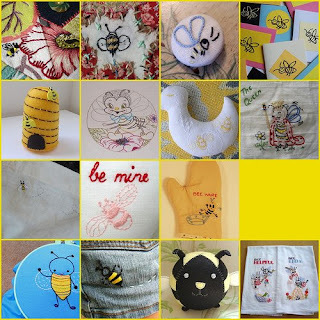 so many cute bee designs. great job from all the crafters on flickr!